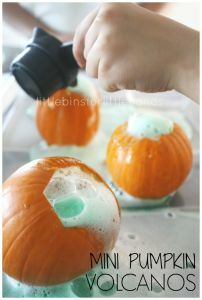 Fall is a wonderful season to explore with sensory play! Put together a harvest sensory bin to celebrate the season and take you straight through to Thanksgiving! 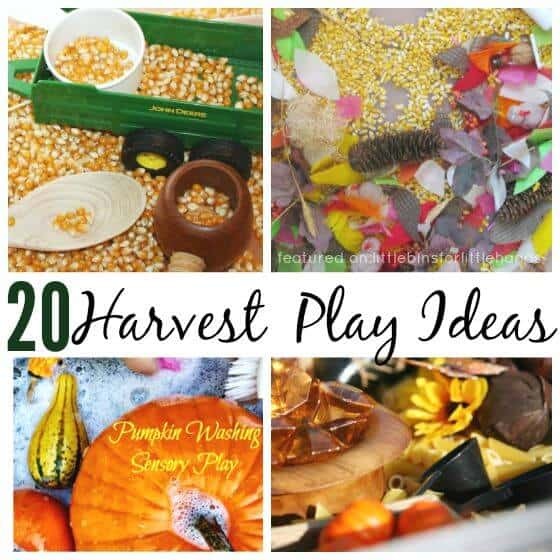 Explore harvest themes through simple sensory play. Fall is a sensory rich season with wonderful smells and colors. Engage your kids with a new harvest sensory bin idea or two! 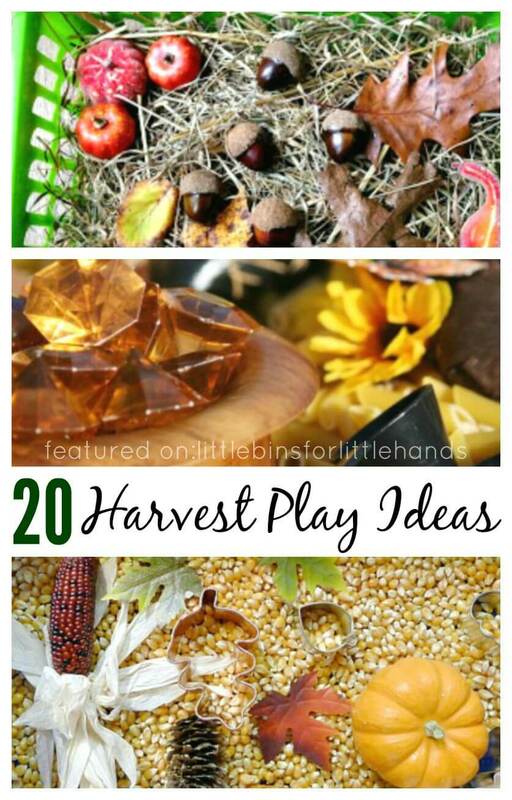 Fall Harvest Sensory Bin Play Ideas! There are so many ways to include sensory play in your daily schedule, 10 favorite fillers for sensory bins. Check out our Ultimate Sensory Play Guide for even more ideas. 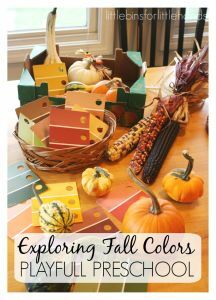 I hope you will find a Fall harvest sensory bin you enjoy and a new idea you might try with your children or classroom! 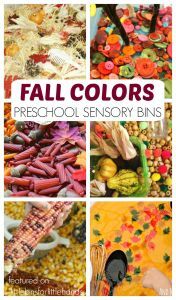 So many possibilities for building a Fall harvest sensory bin this season! 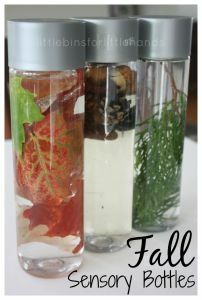 What will you put in your Fall harvest sensory bin? More Fall fun! Click on photos!